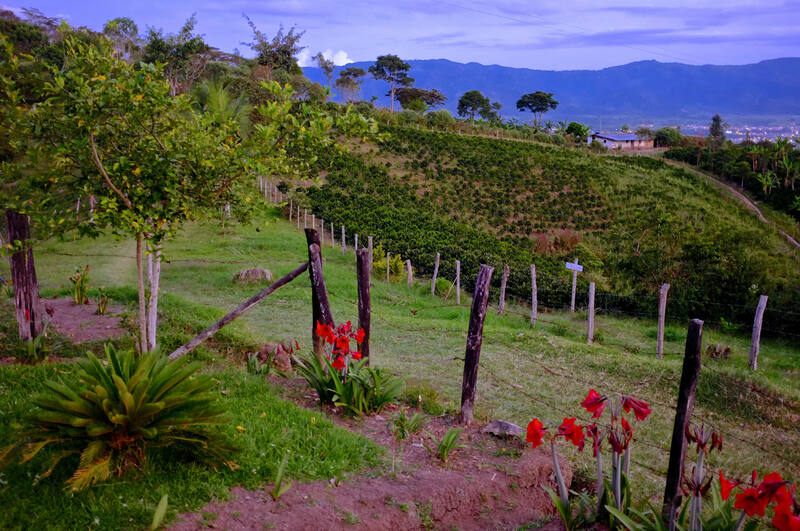 We are grateful for the opportunity to offer this exceptional micro lot from the Huila department of Colombia for the second time. Producer Jose Nolvis Rodriguez consistently offers high quality, meticulously processed coffee and this year we found his samples particularly impressive. Coffee from Finca El Mirador is washed processed and sun dried, as is the traditional process in Huila. However, Mr. Rodriguez employs distinct techniques to ensure high quality, including a pre-wash 12 hours into the 24 hour fermentation period before washing the coffee and a 3 day pre-drying phase before the coffees are moved to another drying bed where they receive more intense heat. In the final stage before coffee is packaged for export, it is put through a sieve so that any small imperfections can be sorted out. The result of this meticulous processing is a bright coffee with a buttery mouthfeel, cinnamon and roasted barley in the aroma, and spice, molasses, chocolate, and hints of lime leaves in the cup.